Change is a constant within our industry, and most would agree that the pace of change is accelerating. The headwinds driving change are rising from an increasingly broad range of sources – the regulatory sphere, global tensions and market uncertainties, technological innovation, the unsettled national political scene, generational shifts, and increasing marketplace competition – to name just a few. Thriving in such an environment – setting a course that rides the waves of opportunity created by disruption – requires anticipation, careful planning, and agility. the impact of the growth of Rep as Portfolio Manager programs and how the research teams support the overlay portfolio manager structure. In this fast-paced session, two of our Annual Convention sponsors will offer quick-hitting “TED Talk”-style presentations that focus on timely topics pertinent to our conference theme. Prepare to be engaged and entertained. next-generation integration of active and passive strategies. With more and more established wealth and asset managers embracing the trend toward automated investment management, this panel will explore the current digital delivery landscape and how it is likely to evolve. non-financial rewards, such as culture, flexibility, and training. MMI is a trade association that provides educational content to its members. MMI strictly adheres to the antitrust laws. The presentation, Diverging Viewpoints: Compensation Models in the Advisory Solutions Industry, is offered to inform attendees about various compensation models. MMI, nor the presenters, are not advocating for adoption of any specific compensation model or the creation of uniformity within the industry. Attendees are cautioned that the information presented should not be the subject of joint discussions related to any “agreements” about business practices and attendees should use (or ignore) the information to make individual business decisions. With all of the buzz surrounding digital advice, the importance of articulating the true value that the advisor brings to the client-advisor relationship – the ability to manage investor behavior – cannot be overstated. This session will focus on the ways in which firms are helping advisors to better communicate the value they bring to clients, especially during a period marked by disruption and transition. Learn how future-ready advisors are embracing the unique power of “behavioral alpha” – adding to real returns through a structured process of behavioral coaching. 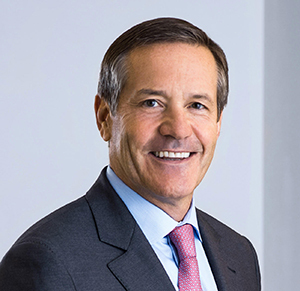 John Taft, CEO, RBC Wealth Management - U.S. Solving the Talent Shortage – With a looming talent shortfall as Boomers retire, how will next gen advisors and employees be attracted to the industry and effectively trained? The Industry Diversity Challenge – Why does the issue still persist after many discussions and initiatives? What new steps are needed to move the needle and effectively address the challenge? The Evolution of Advice and Service Delivery – Against a backdrop of clients’ increasingly complex needs, an abundance of choices, and heightened expectations of personalized solutions, traditional and digital advice models are converging. With the bar raised and the industry focused on delivering new levels of consumer accessibility, support, and value, are advice and service models becoming more integrated? Regulatory Reform Beyond the DOL Fiduciary Rule – Full agendas at the SEC and FINRA promise that even more regulatory pressure is in the offing with cyber security high on the list. What’s Beyond the Horizon for Asset and Wealth Management? the evolving behavior and needs of both investors and advisors. Now that the DOL's long-awaited and controversial final fiduciary rule has been released, the focus is moving beyond discussion and speculation to action plans and execution. While we are collectively still reviewing and digesting the specifics of the final rule, the prevailing view is that the DOL did listen to industry concerns and offer certain compromises which make the final rule more workable. Still there are far-reaching consequences for broker-dealers, financial advisors, and asset managers impacting their product, sales and business practices, and many other areas. These special Roundtables will provide a closed-door forum for senior business leaders to discuss implementing the final DOL rule. the implications for selling managed account programs. Complying with the Rule: What are the Key Business Implications? Pricing: What are the implications and anticipated changes to advisory program pricing? Proprietary product: How will the BIC exemption requirements impact the distribution of proprietary products? Manager research: Will the rule change how firms approach the manager research function? Tipping point: Will the rule’s implementation become an impetus for some advisors to transition all of their client relationships – not just their retirement ones – to fee-based accounts? Account format: In the evolution of advisory platforms, will the UMA format become the structure of choice? Robos: Will the use of automated digital advice to service small accounts and plans now be fast tracked? Model managers: Are non-discretionary model managers exempt from the fiduciary definition? Product shift: Will the shift from higher-cost actively managed products to lower-fee passive products be accelerated by the rule’s adoption? Endangered products: Although the rule allows the continued sale of products such as equity-indexed annuities and nontraded REITs, what is the anticipated impact on these products? Share classes: What mix of share classes will clients demand to grow their businesses? Service agreements: What is the likely impact to existing service agreements? Product capabilities: Do managers’ current capabilities align with the likely adjustments distributors will make to their business models? Marketing: Are current practices and materials consistent with the rule’s requirements? Our final session will start with a report out from the Asset Manager and Sponsor Firm breakout groups – with each sharing key takeaways and primary challenges. Next Craig Pfeiffer will moderate a Q&A session with a panel of senior business leaders and subject matter experts. This open-ended forum is your chance to ask any questions that are still on your mind and gain insight and perspective from our panelists and your fellow attendees. As of April 5th, the MMI room block and preferential rate at the Marriott Marquis are no longer available. Rooms may still be available at the Marriott Marquis’ currently best available rate. The general registration fee is $1,650.00. 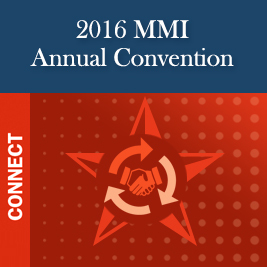 The special registration fee for MMI members is $1,350.00. Cancellations: No refunds will be granted for cancellations after 5:00pm ET on Friday, April 1st. Substitutions are permitted. Please notify MMI at (202) 822-4949. Once two attendees from your firm are registered for the Convention at the standard registration fee, all subsequent attendees are eligible for a 20% discount. Contact MMI headquarters at (202) 822-4949 for details and the special code to use during the registration process. On the evening of Wednesday, April 20, we will present the annual MMI Industry Leadership Awards recognizing achievement and innovation in advisory solutions and honor our 2016 Advisory Solutions Pioneer. The dinner is also a fundraiser for MMI's Gateway to Leadership workplace diversity program - join us to honor our industry's outstanding performers while supporting a very worthwhile cause. Individual tickets and tables for the dinner can be purchased as part of your Annual Convention registration or separately here. As Gateway to Leadership is a 501(c)(3) charity, $175.00 of the individual seat fee and $1,300.00 of the table fee is tax deductible. Each year, MMI honors one or more individuals with its prestigious Pioneer Award at the Industry Leadership Awards dinner during the Annual Convention. The Pioneer Award, first awarded in 1998, honors individuals who embody MMI’s mission to serve as an advocate and catalyst for the growth of the advisory solutions and wealth management industry. As its name suggests, the award is bestowed on trailblazers who exemplify the pioneer spirit and are leading the industry forward in new and transformative directions. View the distinguished list of past Pioneer winners. Marie Dzanis, Co-Chair Northern Trust Investments, N.A. Joel Hempel Lockwood Advisors, Inc.
With the release of the DOL's fiduciary rule now anticipated as early as April 4th, the industry focus is moving beyond discussion and speculation to action plans and execution. While the exact details of the final rule are still unknown, there is widespread agreement that the rule will have far-reaching consequences for broker-dealers, financial advisors, and asset managers impacting their product, sales and business practices, and many other areas. To provide an open forum for senior business leaders to discuss implementing the final DOL fiduciary rule, MMI is adding several roundtable discussions after the formal conclusion of the MMI Annual Convention on the afternoon of Thursday, April 21st in Washington, DC. The roundtables are scheduled for 1:30pm - 5:00pm and are open to all MMI members attending the Convention. You can also register separately here for the DOL rule roundtables or Day 2 of the Convention. These sessions will be closed to the press. build relationships with senior decision makers at asset managers and distributors? create additional awareness of your firm's products and services? stay current with customers, prospects and competitors? 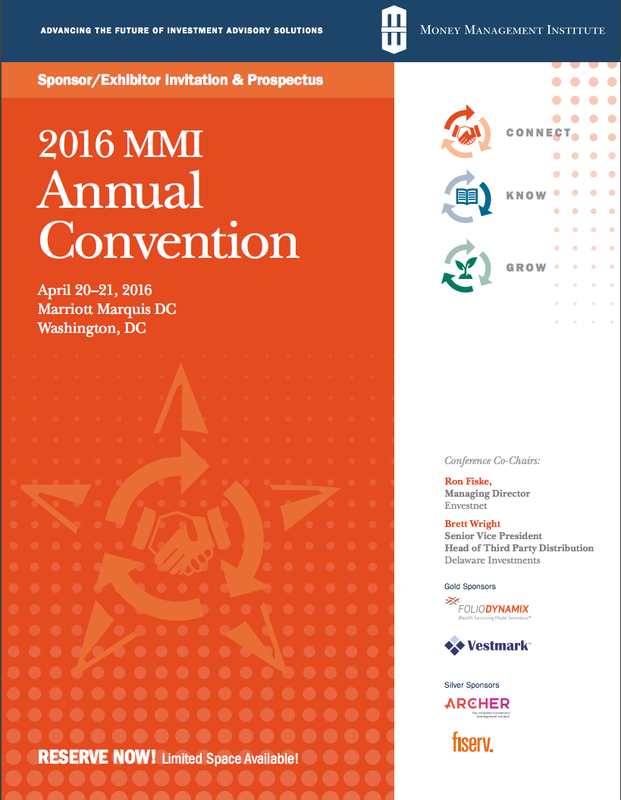 A limited number of high-profile sponsorship opportunities - including the opening cocktail reception, the wine sponsorship at the gala Industry Leadership Awards Dinner, and the conference Wi-Fi - are still available at the 2016 MMI Annual Convention taking place April 20 - 21 at the Marriott Marquis Washington DC. There are also a handful of exhibit booth spots available so please contact us immediately if you are interested. MMI events represent an exceptional opportunity to meet with investment advisory executives, gain strategic insights, and highlight your firm's offerings. The Annual Convention will bring together up to 400 industry stakeholders, business leaders, and key decision makers for two days of thought-provoking sessions and networking opportunities. The dedicated exhibit hall - located in the middle of the action - is an ideal venue to showcase your firm's products and generate brand awareness with our highly-engaged audience of senior decision makers. The attached prospectus contains more information about the conference and package specifics. Please contact Linda Pierre at (202) 822-4949 or lpierre@mminst.org for details and to discuss a package that meets your firm's needs. Change was, indeed, the starting point for each of the meeting’s special guest speakers as well as each of the sessions. Of course, the “elephant in the room,” as one speaker put it, was the recently published DOL fiduciary rule – a much discussed topic in the formal sessions as well as in the hallways between sessions. MMI has moved quickly on its pledge to help members navigate the implications and challenges associated with the final rule, and the first step in that process was a member-only DOL roundtable held after the Convention’s formal adjournment. The Thursday afternoon program attended by more than 100 members included an overview of the rule and its impact on managed accounts, a discussion of implementation strategies, and separate breakout sessions for sponsors and asset managers followed by a quick-fire review and Q&A. The next step in MMI’s education and support program for members is a DOL Fiduciary Rule Forum on Wednesday, May 25 at The Yale Club in New York City. Please note that May 25 is a new date for the Forum – rescheduled from the originally announced date because of a conflict with another industry event. Following Mr. Sweeney’s welcoming remarks, MMI President and CEO Craig Pfeiffer gave a “state-of-the-state” review of progress on MMI’s five key strategic priorities: enhancing the membership experience, educational initiatives, deepening data resources and analytics, fostering next generation industry and MMI leadership, and advocacy that moves the advisory solutions industry forward. Equally important are honesty and building trust. An example was given of a large asset manager with a product that had a great track record telling an analyst, “Just so you know, recently they have had tremendous turnover in the portfolio management.” That is something the distributor would have found out when researching the product, but by disclosing it early, the manager builds trust, and the next time the distributor gets a call from him saying this is a product I want you to look at, he will probably listen. In building a relationship, play the long game – “It’s a marathon, not a sprint.” Ask what the distributor is focused on for the next six months. Don’t be the one who says for every single search that you’ve got the perfect strategy. Be willing to say that is not our area, we specialize in something else and move on. And later, when that something else is being sought by that same distributor, you will be considered. When you get a meeting, make the most of it by bringing the right person to the table, and be aware of the time limitations on the other side of the table. Make sure that every conversation, every email is adding value for the analysts. Lastly, make sure your products are in the relevant data bases. In an expert discussion of “robo” advice delivery, panel members from Invesco Jemstep, Betterment Institutional, and Vanguard Financial Advisor Services offered their perspective on the target market for robos, the breadth of and limitations on the range of services that robos can provide, the growth potential for robos, the role of the human advisor in the robo matrix, robos’ impact on the trend toward passive investment products, and the cost and fee pressures robos are bringing to bear on the advice industry. This panel moderated by Convention Co-Chair Brett Wright took a step back and surveyed what is happening beyond traditional compensation models based on gross sales commissions. It looked at the pros and cons of alternative models with commissions based on asset retention, metric-driven bonuses, gross vs. net-based approaches, and long-term incentives. This panel discussion focused on the ways in which firms are helping advisors better communicate the value they bring to clients at a time when they are being pressured by the growing strength of the movement toward digital advice. It also took a look at how some advisors are embracing the unique power of “behavioral alpha” – adding to real returns through a structured process of behavioral coaching. The eighth annual Industry Leadership Recognition dinner to raise funds to support MMI’s Gateway to Leadership workplace diversity program brought day one of the Convention to a fun-filled close. MMI’s Board of Governors honored Robert Noelke, a recently retired Partner at Lord, Abbett & Co., as the 2016 Advisory Solutions Pioneer, and ten firms were recognized with Industry Leadership Awards for their innovation and achievement in advisory solutions over the past year. In addition, DTCC received the MMI Gateway to Leadership Award in recognition of its long-term commitment to and support of Gateway to Leadership. Thanks to the generosity of the audience and donors and the auctioneering skills and humor of Bill Brennan and Mike Murphy, the dinner raised significant funds to help support the Gateway program. In that evolution, the industry has developed a comprehensive suite of services that includes risk management, lending, long-term care, and estate planning that go alongside the investment products. “That comprehensive suite of services and the advice and discovery that drives it is available today at a fraction of the cost of what it was 30 years ago. It is being delivered by advisors who are infinitely more qualified, better trained professionals than they were 30 years ago.” Firms have also, Mr. Taft pointed out, been investing heavily in training teams of expert resources and in technology – aggregation tools, integrated reporting, document management vaults, cash management capabilities. Senior financial services executives Christine Nigro, Vice Chairman, AXA Advisors, John Moninger, former MMI Chair and Director of Retail Sales, Eaton Vance, and Jim Tracy, Head of Consulting Group and Practice Management, Morgan Stanley, explored in an “open chat” panel moderated by Craig Pfeiffer major trends that are certain to affect the future path of advisory services. In a discussion about the DOL fiduciary rule, Mr. Tracy commented that, “Whatever you may think about the rule, it has made us rethink the business. The fact of the matter is we now have the rule and have to move forward and adjust our businesses accordingly…As I see it, most firms have reacted very well to the fact that there needs to be some modifications to the business.” Mr. Moninger pointed out that historically most important industry developments have been driven by regulatory change, and with that change has come opportunity, an observation supported by Ms. Nigro. One of her principal concerns, however, is that small clients who will no longer be as easy to serve on a one-on-one basis will be hurt by the rule’s implementation. Turning to digital advice, Mr. Moninger asked whether robos could effectively provide the level of personalization that investors are requiring today, especially Millennials. “Can technology help us make better decisions and provide a better experience for a client? Absolutely. What we should embrace is continuing to improve the client experience, providing better personalization and being able to substantiate the value of the fees we are charging. That’s the opportunity we have to differentiate ourselves from what else is available.” Mr. Tracy predicted that robos will end up driving growth in the wealth management business by pulling into the industry some of the 87 million Millennials who might not otherwise invest. The panel also addressed three demographically related topics – the looming shortfall in advisors as Boomers retire, the need to attract and train the next generation of advisors, and need for greater diversity across the industry, which Mr. Tracy termed the biggest challenge confronting the industry. A panel moderated by Convention Co-Chair Ron Fiske started off with an industry overview indicating that, while the last four to five years have been remarkably good for the asset management industry – revenues are up, margins are up – the news is not uniformly good. Although there has been an increase in revenues, they are not growing as fast as assets are increasing, and the industry is starting to see fee compression. Once we encounter choppy market returns, a much bigger spread is foreseen in margins between profitable managers who are winning and taking share and those who are starting to lose share. Looking ahead, the industry will be very different in five years, but the way the industry is changing is not the result of the DOL rule, which is just accelerating that change. The three key change elements are the move to fee-based compensation that the wirehouses are encouraging, the trend toward robo advisors, and the shift to low-cost, passive products. In his extremely well received remarks, Andy Friedman, the political guru of The Washington Update, opened with his evaluation of the House and Senate races. The political redistricting in 2010 has made the Republicans winning the House a sure bet in 2016 and as well as in the following decade. With control of the House, Republicans can stop or start any piece of legislation they choose – not good news for Hilary Clinton, who will face the same legislative gridlock as President Obama if she is elected. As for the Senate which the GOP took two years ago, it is likely that the Democrats in an ordinary election year would pick up enough seats to regain control. But the Presidential election could change that because Americans are more reluctant than ever to split tickets, and a candidate who really excites the electorate could pull in otherwise weak Senate candidates. Therefore, Mr. Friedman’s prediction is that whichever party wins the White House will take the Senate, as well. The election outcome, he believes, will hinge on independent voters – people who typically are more worried about economic issues, jobs, government spending, and taxes. They are not worried about social issues like gay marriage or climate change, and they want to see compromise – they don’t want to see stalemating. The candidate whose profile comes closest to those values will get the independent vote. Similarly, a party that attracts minorities will have a significant advantage. Negatives for Mrs. Clinton in the general election: her embracing of the Obama administration and her greater than 50% negativity rating – more than 50% of those surveyed say they don’t like her. Normally that would knock a candidate out of the race, but Trump’s negativity rating is even higher – eight of 10 Hispanics have said they’d vote against him as well as 67% of women, including Republican women. If you were able to join us, we hope you left the Convention feeling energized and invigorated. If you weren’t able to attend, please contact us with questions on any of the topics or resources discussed. In either case, check the MMI calendar for upcoming events, including the DOL Fiduciary Rule Forum in New York City on May 25th. The Annual Convention received significant coverage in the industry press. View a summary of Annual Convention-related articles. Nuveen's Robert Doll gave a muted outlook for stocks at the Money Management Institute's conference in Washington, D.C. on Wednesday — but that still makes him more optimistic than most. Speaking at the Money Management Institute’s annual convention in Washington, Friedman of The Washington Update said that because the House will be controlled by Republicans for the next decade – and possibly beyond – a Hillary Clinton presidency will face the political gridlock that has plagued the Obama administration. Asset managers working with distribution platform due diligence teams must focus on honesty, timeliness and understanding distributors’ needs in order to get a foot in the door, gatekeepers said during a Money Management Institute (MMI) panel this week. The Money Management Institute…has announced the winners of its 2016 Industry Leadership Awards. 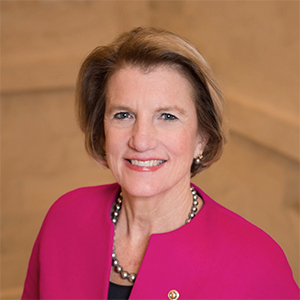 Speaking at the Money Management Institute’s annual convention in Washington, Doll…pegged corporate tax reform as the “most important issue for the markets” after the presidential election, and laid out some other predictions for attendees. Investment advisory program sponsors and asset managers are taking steps to mitigate risks, and take advantage of opportunities created by the Department of Labor’s fiduciary rule, executives said at the Money Management Institute (MMI)’s annual convention in Washington D.C. last week. Speaking at the MMI annual convention, Rob Cirrotti, head of retirement and investment solutions for Pershing, explains how the DOL's new fiduciary rule may affect the managed account industry. Industry generally has not barked about the final rule, but that doesn't mean that it won't eventually bite. “There's just a sense of relief relative to the proposed rule,” Craig Pfeiffer, president and chief executive of the Money Management Institute, told reporters at an MMI conference in Washington on April 21. Speaking at the MMI annual convention, Rob Cirrotti, head of retirement and investment solutions for Pershing, discusses what the DOL's fiduciary rule means for advisory program fees and wholesalers at asset management firms. 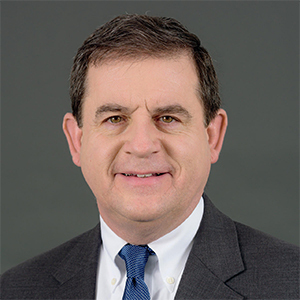 Speaking at the MMI annual convention, Jim Tracy, head of Morgan Stanley Wealth Management's Consulting Group, discusses separately managed account (SMA) product needs and industry trends. Read a quick recap of Annual Convention highlights that you can share with colleagues.